About To Pop, Gold Backdrop - Oh Baby! 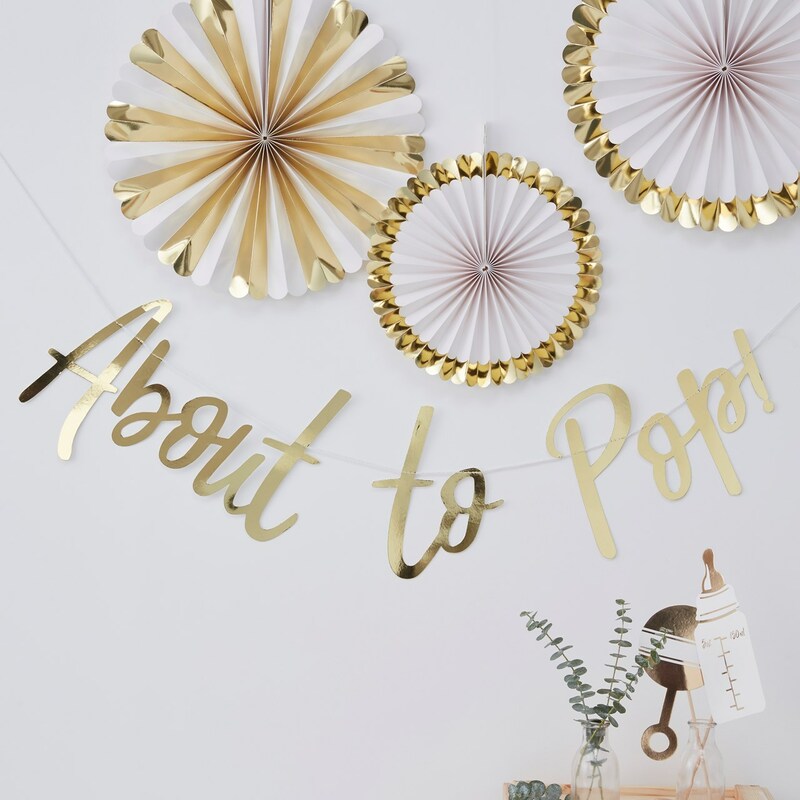 Our shiny gold "About To Pop" backdrop will bring a playful touch to this fun filled day of celebrations. Guests will love taking photos with the gorgeous mummy to be underneath our sparkly backdrop - the perfect time calls for the perfect party! Hang our backdrop on a wall or furniture for an adorable centre piece at your venue. Make it all the more special with our set of white and gold fan decorations for this exciting day. Each pack contains 1 x 1.5m (L) backdrop , 220mm (H) with 11 letters. Please note this does not include the Gold Foiled Fan Decorations, which are available separately.